PT. Food Station Tjipinang Jaya (FSTJ) cooperates with Karawang Combined Farmer Group (Gapoktan) that has joined agriculture corporation demonstration farming (Demfarm). Demfarm is one of Agriculture Ministry (Kementan)'s coaching programs. It is joined by Gapoktans from Ciptamarga Village, Jayamekar, Wedangasam, Kampung Sawah and Jayakarta.
" We will send our team to the location to manage its production, shipping, packing, and others"
PT. 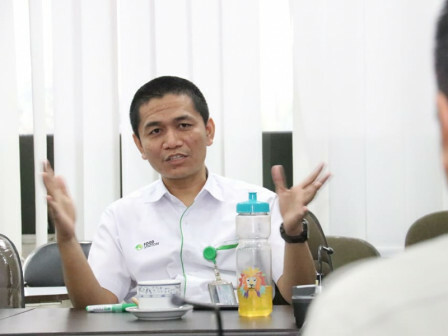 FSTJ's Procurement Section Head, Fardiansyah Marzuki conveyed, this cooperation is not only focus on rice supply, but also factory usage thus it can be used together with Gapoktans. "We will send our team to the location to manage its production, shipping, packing, and others," he said, Tuesday (3/19). "Our target is to start this cooperation in May 2019," he mentioned.